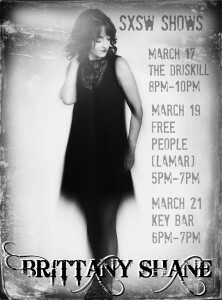 I can’t believe SXSW is coming up so soon! I have 3 shows that I’m excited to announce! All of the shows are free and open to the public. Tuesday, March 17th (St. Patrick’s Day!) 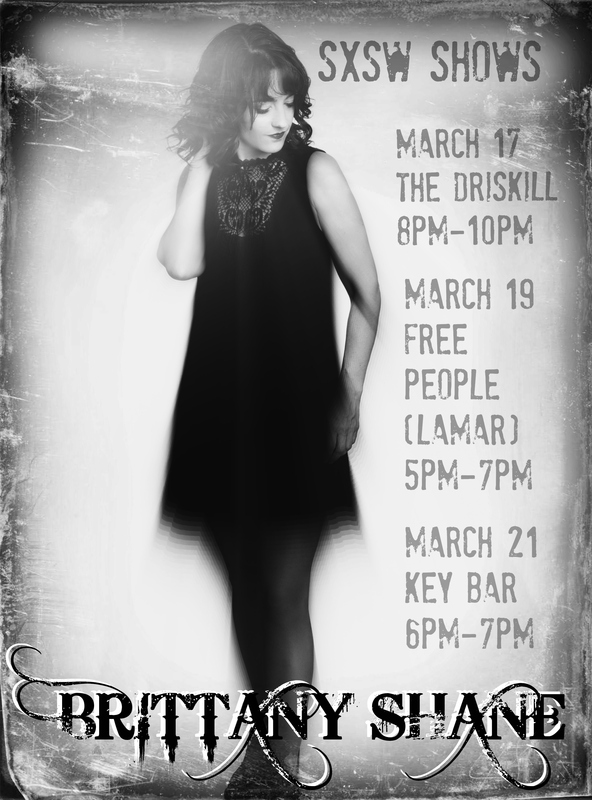 I’ll be at the Driskill Hotel Downtown from 8pm-10pm (with the band), Thursday, March 19th I’ll be at Free People on Lamar (solo) from 5pm-7pm and Saturday, March 21st I’ll be at Key Bar (with the band) from 6pm-6:45pm. This entry was posted in news on March 8, 2015 by Brittany.